There are so many options out there when it comes to deciding on what type of heating system you should install in your home. With so many fantastic choices, it can be hard to make a decision! 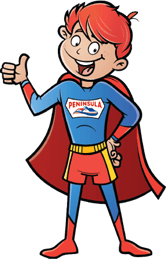 Our team at Peninsula is here to give you all the information you need about heating systems for your Maryland or Delaware home. 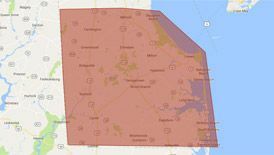 We pride ourselves on providing the best possible heating products for our customers, which is why we offer Carrier oil furnaces to our Delmarva area neighbors. Carrier oil furnaces are a durable, long-lasting heating option. They typically use less fuel during the heating process than other heating systems do, and oil is typically convenient in that it’s available to be delivered to most areas. To learn more about Carrier oil furnaces or to schedule an installation appointment, contact Peninsula online or call us at 302-629-3001 today! Why Choose a Carrier Oil Furnace to Heat Your Maryland or Delaware Home? When it comes to home heating systems, Carrier is one of the nation’s best brands! Carrier creates systems that are as effective and efficient as possible. If you’re looking for a dependable way to keep your home warm this winter, then a Carrier oil furnace is an ideal choice. One of the main benefits of an oil furnace, particularly a Carrier brand oil furnace, is its durability. As long as they are properly and regularly maintained by an HVAC professional, an oil furnace can last between 20 and 30 years! Oil also burns nearly 300 degrees hotter than natural gas does, which means that an oil furnace will heat your home faster than most other heating systems are able to and will keep it warmer overall. Oil is also a very efficient source of heat—Carrier oil furnaces typically have an efficiency of up to 86.6 percent AFUE (Annual Fuel Utilization Efficiency)! This means your utility bills will be lower, which is another benefit of this type of heating system. Carrier offers a variety of oil furnaces, ranging in efficiency, performance, and cost. However, each of the units in the Carrier Comfort™ Series oil furnaces are known for providing reliable home comfort at an affordable price point. If you’re interested in installing a Carrier oil furnace in your home, we can help. We’ve been installing oil furnaces for years, and we’ll get the job done as quickly as possible to keep your family comfortably warm all winter long. Our team of experts can advise you on the brand, size and efficiency rating that will keep you the most comfortable at the lowest operating cost possible. Trying to decide which Carrier oil furnace is right for you? Call the experts at Peninsula at 302-629-3001 to help you figure out which unit will be the best fit for your needs, or contact us online now. Carrier offers a variety of oil furnaces that boast energy efficiency, powerful performance, and affordability for your Maryland or Delaware home. Performance™ Series oil furnaces – These units are extremely energy efficient to save you money on utility bills, all without sacrificing the heating performance you’d expect from a Carrier oil furnace! They’re durable and quiet, and many sizes in the series are ENERGY STAR® qualified. Comfort™ Series oil furnaces – This series provides reliable comfort levels in your home at an affordable price point, and comes with a 20-year or lifetime heat exchanger limited warranty. If you’re looking for energy efficiency, the Comfort™ Series oil furnaces have an AFUE rating of up to 86.6 percent, so they’ll help you save on energy bills! Learn more about Carrier oil furnaces, or contact Peninsula today at 302-629-3001 to schedule your installation appointment! If you are experiencing any of these issues, or you think your furnace may be in need of repair for another reason, don’t delay! Schedule oil furnace repair service today. If you’re in need of emergency service, call Peninsula for 24-hour oil furnace repair at 302-629-3001. The best way to avoid needing oil furnace repair service is by scheduling regular preventative maintenance appointments with an HVAC professional. For lower monthly utility bills, fewer system breakdowns, and to upkeep your Carrier warranty, we suggest scheduling furnace tune-ups annually. Think of your oil furnace as if it were your car—you’d never go more than a year without getting an oil change for your vehicle, would you? Just like your car requires regular maintenance, so does your Carrier oil furnace! To learn more about the benefits of regular maintenance or to schedule a furnace tune-up, call us today at 302-629-3001 or contact us online! Call Peninsula for All of Your Carrier Oil Furnace Needs! Our team at Peninsula is here to help you with any of your needs when it comes to Carrier oil furnaces. Whether you’re trying to find the right oil furnace for your home, you’re looking for repair service, or you simply want to schedule a tune-up for your system, we’ve got you covered. Call us at 302-629-3001 or contact us online now for all of your Carrier oil furnace needs!